The Lucas Oil Late Model Dirt Series put on a hell of a show for the Ringgold, GA dirt racing crowd. Boyd’s Speedway featured a pass for the win on the final lap. Tonight, the Lucas Oil Late Model Dirt Series invades Ringgold, Georgia. Boyd’s Speedway, the 1/3 mile clay oval hosts another round of the dirt racing touring series. 45 cars are unloading in the pit area ahead of The Shamrock 50 event. BATAVIA, OH (March 19, 2018) – The stars of the Lucas Oil Late Model Dirt Series will tackle three states in three days this week – battling in three action-packed events along the way. Earl Pearson Jr recently returned to victory lane in the Lucas Oil Late Model Dirt Series. It was his 31st win in the series. From victory lane at Boyd’s Speedway he said something that sparked my full attention. The photo album below features photos from Boyd’s Speedway. The track is a 1/3 mile clay oval located in Ringgold, GA.
Tonight the Lucas Oil Late Model Dirt Series invaded Ringgold, GA near Chattanooga, TN. Boyd’s Speedway, a 1/3 mile high banked clay oval that brought 3 wide racing all night. It also brought a darker shade of drama to the championship contenders. Three LOLMDS Events in Three States This Week! BATAVIA, OH (March 27, 2017) – The stars of the Lucas Oil Late Model Dirt Series will resume competition this week – tackling three states in three days with three action-packed events along the way. 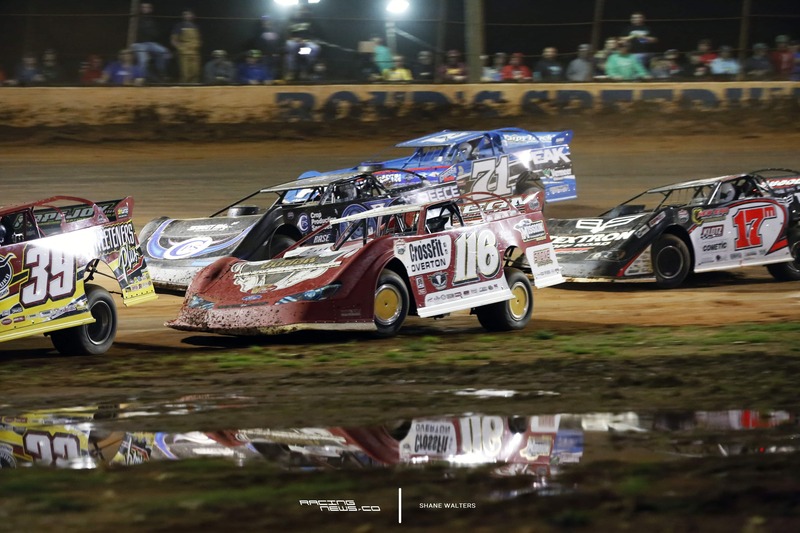 Lucas Oil Late Model Dirt Series – What to Expect in 2017! BATAVIA, OH (March 23, 2017) – The Lucas Oil Late Model Dirt Series – widely acknowledged as the nation’s premier dirt late model sanctioning organization – is proud to offer its many fans and drivers the most exciting events in 2017.